Textbook Mommy: Blogorama Bonanza Children's Books Giveaway! Blogorama Bonanza Children's Books Giveaway! Please Click Here To Read My Review! 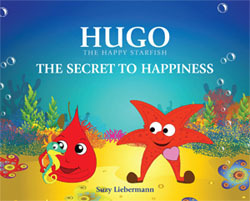 (1) Lucky Winner Will Receive Both Of The Hugo The Happy Starfish Hardcover Children's Books Shown Below! 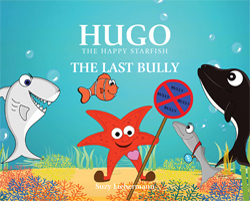 Hugo The Happy Starfish - "The Last Bully"
Hugo The Happy Starfish - "The Secret To Happiness"
Enter To Win Both Of These Hardcover Books! Details: Open to U.S. residents ages 18 and over. Entry is via Rafflecopter form below. Winner will have 48 hours to respond to winning email or an alternate winner will be selected. Good Luck And Be Sure To Hop Around To The Fellow Participating Blogs To Enter Their Great Giveaways As Well Via The Below Linky! *Disclosure: I was provided free downloads of the above mentioned books in exchange for my honest review. All opinions in this review are 100% my own and are not a result of any outside influence.